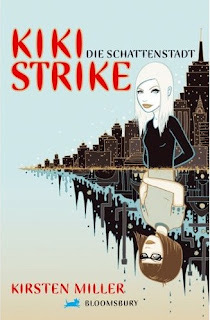 The first international editions of Kiki Strike are coming out around the world, and I thought you might enjoy seeing the covers. There are many more to come! Cool covers!!!! Is there any news on the next book? Fingers crossed, but looks like fall! wow i like the covers (i didnt feel like logging in my google account, it never really works). and thanks for letting us comment again! Sorry about that--it was all a mistake! Comment away. Well no harm done right? my internet's been down, but i'm back now! 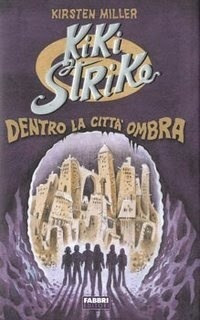 i love those covers!! Ugh! I hate rats. Especially ones with tails too long and heads too fat!!!! Ew. 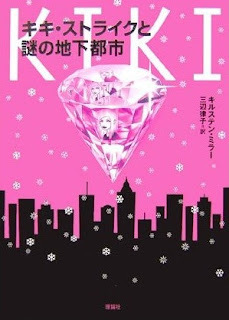 The Japan cover is pink. How ironic. on the Netherlands one the girl looked NOTHING like Kiki. hmph. USA one is better i think anyone else? O I wish Kirsten Miller will write more of these books!!!!!!!!!!! The netherlands one is weird.